The Israeli occupation forces (IOF) at dawn Friday stormed Tell town west of Nablus amid heavy firing of illumination flares and sound bombs. 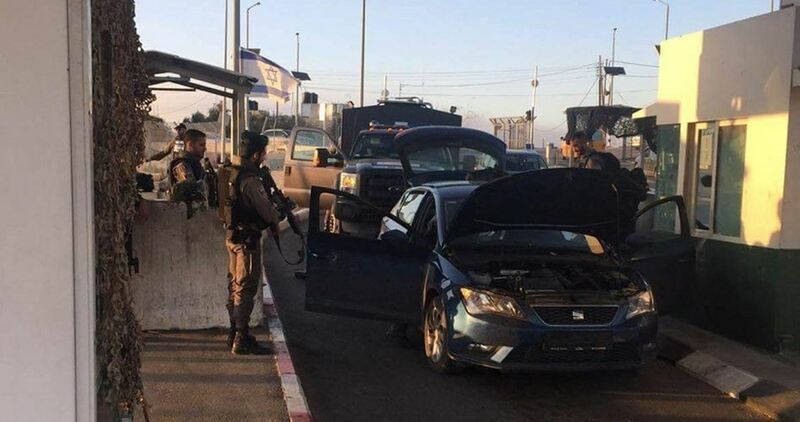 Activist Ahmad Zeidan said that the IOF soldiers raided the town in large numbers and destroyed a vehicle owned by the Palestinian citizen Mousa al-Khawaja. 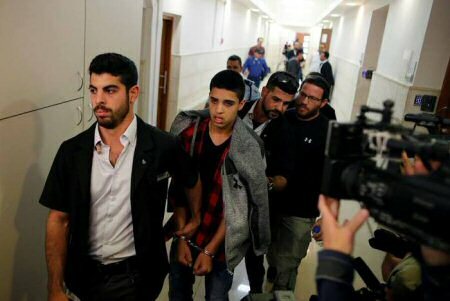 In another context, a Palestinian family from Nablus said that the IOF informed them on Thursday that their 16-year-old son Obada Awwad was arrested and transferred to Ofer prison. The Palestinian citizen Amjad Awwad said that an Israeli officer phoned his family and told them that Obada was arrested during clashes east of Nablus. 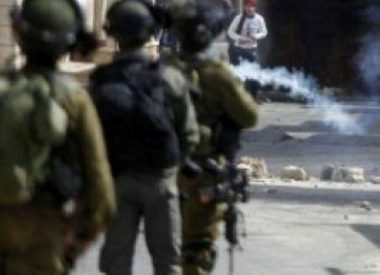 The Israeli occupation forces (IOF) at dawn yesterday (Thursday) kidnapped a Palestinian young man from his home in al-Khalil and assaulted his family. 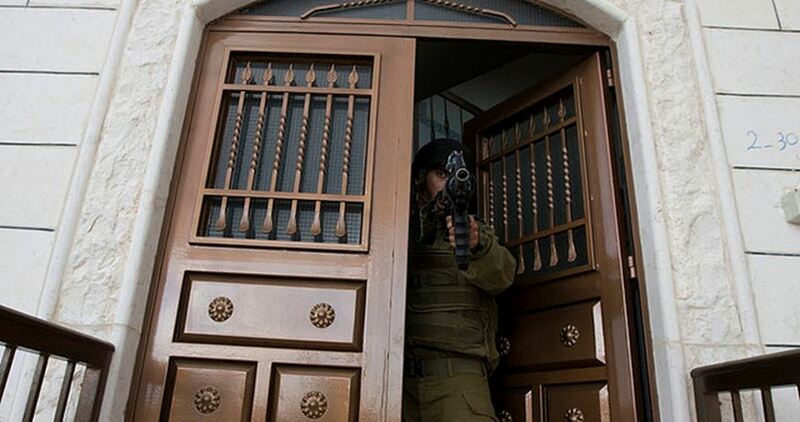 Local sources told the Palestinian Information Center (PIC) that Israeli soldiers broke into and ransacked the house of Saber Taha in the Old City of al-Khalil and forced all family members to stay outdoors. According to the sources, the soldiers caused damage to the furniture and electrical appliances, spoiled food stuff, and physically assaulted an elderly woman when she objected to the havoc they caused in the house. They also severally beat the father and caused him to bleed before they ended their brutality by rounding up the young man, Saber, and taking him to an undeclared place. The European Union (EU) has criticized Israel’s use of lethal force for crowd control against protesting Palestinians and called for showing restraint and investigating every fatality. 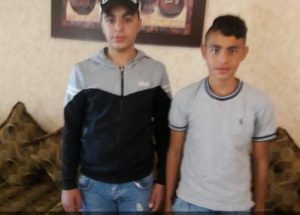 In a recent statement, the Office of the European Union Representative to the West Bank and Gaza Strip noted that several Palestinian minors have been killed in recent months by Israeli forces. 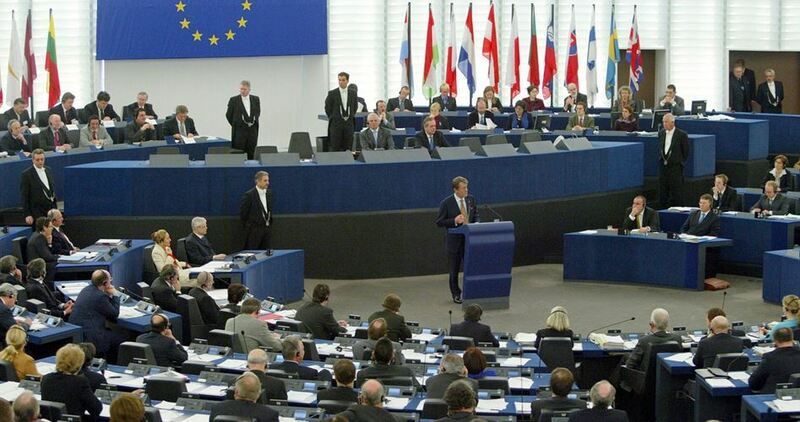 “The EU continues to be deeply alarmed about the use of live ammunition by Israeli security forces as a means of crowd control,” the statement said. The EU also raised its concerns over the arrest and detention of Palestinian minors, including Ahed Tamimi, now 17, whose defense last month agreed to an eight-month plea deal after a video went viral in December showing her slapping an Israeli soldier on her family’s property in the West Bank. 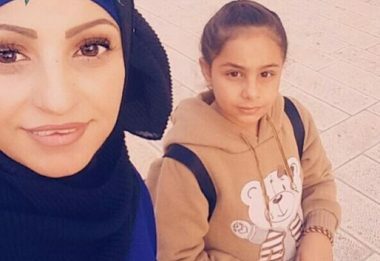 “Israel has obligations under international law to respect the rights of the child, which inter alia confirm that the arrest, detention or imprisonment of a child shall be used only as a measure of last resort and for the shortest appropriate time,” the statement said. 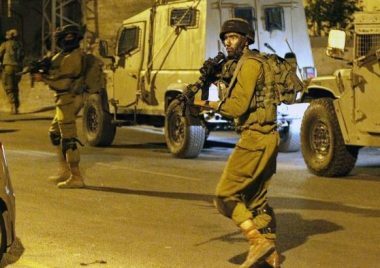 Israeli soldiers invaded, on Thursday at dawn, Jenin city, Jenin refugee camp and Deir Abu Da’if village, east of Jenin, in addition to Nablus, in the northern part of the occupied West Bank, searched many homes and abducted four young Palestinian men. 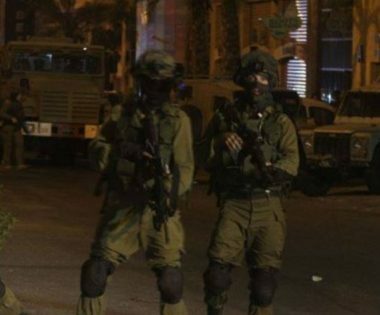 Media sources said dozens of soldiers invaded Jenin city, before storming an apartment building in the al-Basateen neighborhood and detonated the doors of several flats before breaking into them. The soldiers searched the flats of Shadi Jarrar, Mohannad Masharqa, along with his brothers Essam and Abu Adnan, before interrogating them and their families. 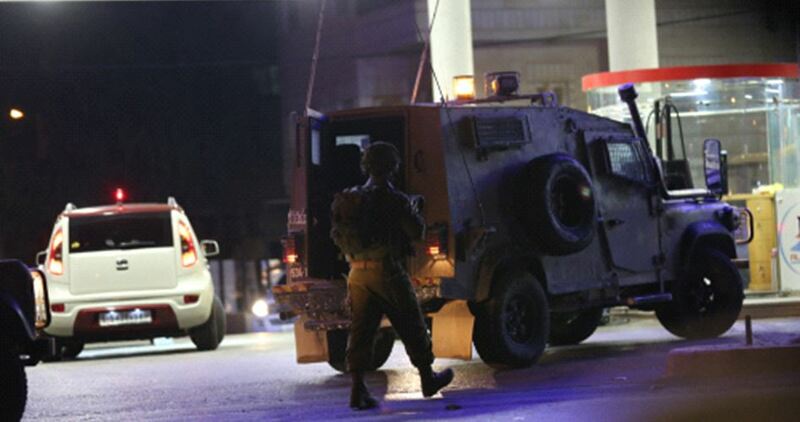 Furthermore, the soldiers abducted one Palestinian, identified as Salem Ghaleb Abu Bakr, from his home in Jenin city. It is worth mentioning that Mohannad has two other brothers who were abducted by the army more than a year ago and are still imprisoned. 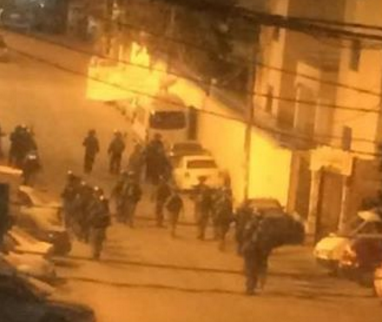 In Jenin refugee camp, the soldiers searched homes and abducted Mohammad Talal Jalamna. Another Palestinian, identified as Mohammad Awwad, was abducted from his home in Deir Abu Da’if village, east of Jenin. In related news, dozens of soldiers, accompanying several colonialist settlers’ buses, invaded the northern West Bank city of Nablus, to visit a site known as Joseph’s Tomb in the city. Media sources said the soldiers clashed with many local youngsters and fired gas bombs and concussion grenades at them. They added that the soldiers also invaded a residential building in Balata al-Balad village, east of Nablus, searched many homes and flats, and abducted Masoud al-Asmar Dweikat.